OKLAHOMA CITY (May 20, 2016) – State Rep. Jason Nelson, R-Oklahoma City, issued the following statement today regarding the release yesterday of Attorney General Opinion 2016-4, which was issued in response to a request for an opinion by Nelson in December about the legality of Oklahoma City Public School's refusal to provide on-site educational services to children receiving treatment for severe mental illnesses at day treatment or partial hospitalization program facilities, which precludes attendance at school by the children. 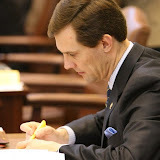 State law requires school districts to provide a minimum of three hours of on-site educational services per day and other related educational services to children in mental health treatment programs. Oklahoma City Public Schools is currently refusing to provide such services. “This opinion is a big victory for children suffering from mental illness. 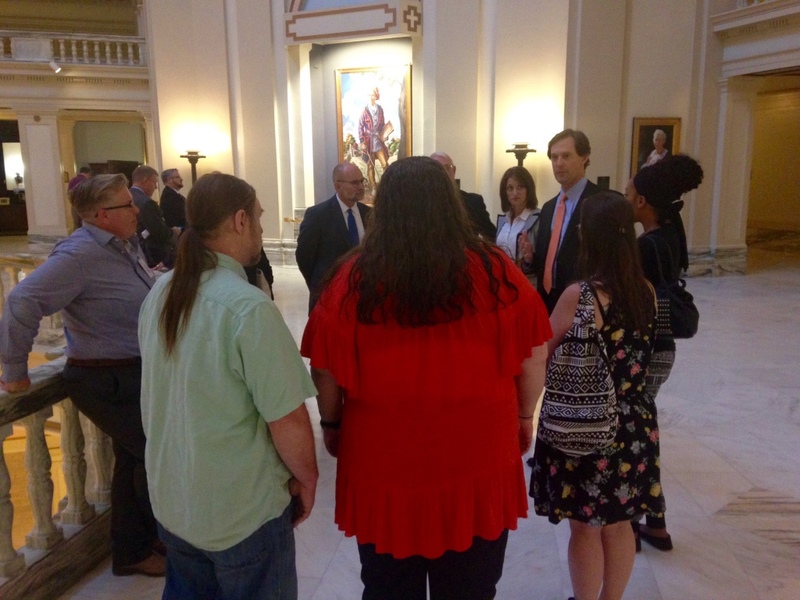 The Oklahoma Constitution guarantees the right to an education for every child. State law protects children from being forced to choose between receiving treatment for mental illness and receiving an education. Oklahoma City Public Schools has willfully and systematically denied hundreds, if not thousands, of children the benefit of these laws for at least the past decade. “Oklahoma City administrators and board members have been confronted several times over the District’s refusal to provide on-site educational services to children in a partial hospitalization program located inside the district boundaries, which is clearly required by law. I’ve personally discussed my concerns with District officials and have so far been ignored — with the former district superintendent storming out of a meeting when confronted. "The opinion describes current state law as ‘plainly and unambiguously’ establishing residency for these children and by extension the responsibility of Oklahoma City Public Schools to educate these kids and describes as ‘nonsensical’ a key argument by the district as the basis for not doing so. “I have asked the state Department of Education and the Attorney General to take aggressive action to immediately correct the harmful and illegal actions of Oklahoma City Public Schools and to hold accountable all administrators and board members who are responsible for or who have willfully ignored this massive, ongoing civil rights violation. “District board member Bob Hammock misled the public in a November op ed writing, "It is a source of great pride for me that public schools accept all kids. We educate every child, from gifted pupils to children with learning, physical and often severe emotional disabilities." This is certainly not true in his district. “District administrators and board members must be held accountable for their discrimination against these children. This district has a history of allegations of violating the civil rights of children. Unfortunately, the type of attitude and behavior that has resulted in federal civil rights investigations continues. “I requested the opinion after Oklahoma City Public schools last June stopped providing on-site educational services to children receiving treatment at Positive Changes, a local mental health services provider. “The district is also currently refusing to provide on-site educational services in at least two other treatment facilities located within the district’s boundaries. Former district superintendent Rob Neu bragged in a meeting that the district was providing an education to children at only one facility. Oklahoma City Public schools is not the only school district in the state that has at some point refused to serve vulnerable students in similar circumstances.